Barbie Dolls Collectibles for the person who loves to remember when. Ruth Handler was known as the "Mother of Barbie"
The first dollhouse for this famous fashion doll was brought out by Mattel in 1962. It was made of cardboard as a studio apartment layout. Since then the market has shown us many more examples. These fashion dolls have for years been clothed with outfits that naturally seem to say that they need a scene to go with them. After all most of her outfits have been of a professional nature. So a dollhouse to add to her outfits seemed a natural by-product for her. 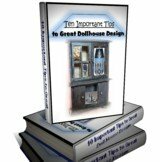 Though Fashion Dollhouses have had one major design issue about them. They started off and have seemed to continue with sometimes flimsy, easily broken dollhouses and accessories. Thankfully there are some with outstanding designs that last for years, on the market as well. Worth Noting: Some sellers on Ebay have offered on occasion the above mentioned Dollhouse (Barbie's first dollhouse of 1962). Some of those products looked to have also been in surprisingly good condition considering their age. So for serious collectors Ebay is worth at least the look to see what treasures you can discover. Search Ebay Now for Rare Deals that interest you. With this group of sample Vintage Fashion Dollhouses you can choose any particular one that interests you. By selecting the individual item with a mouse click it will come up in a window with all the particulars concerning that product. Conveniently place your bid or buy your choice today. *For your Information: Hovering your mouse over any picture above will display the name of that item. Clicking on the picture will open a new window.